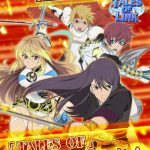 Bandai Namco has added a new “Tales of” series game to the franchise, and it’s now available for iOS and Android. We’ve covered Tales of Link previously, giving you a detailed strategy guide that covers a wide range of tips, but before we get to our next guide for the game, let’s give you a brief reminder of what it’s about. 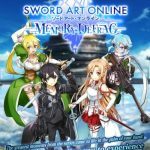 This game is an anime-inspired title that allows you to form a party of heroes to “fight in fun, tactical battles” – you can form teams of up to nine heroes, with more than 360,000 hero combinations that can give you the best advantage possible. You can summon new characters, and train the ones you have, making them more powerful as you go along. The first guide was a long one, talking about tips for success in the game in general. Now, for this new Tales of Link strategy guide, we’ll be talking about how you can win more battles. So read on, and hopefully you’ll be winning more consistently and making the most out of your heroes and their abilities. Tales of Link has an elemental system, as we explained before, and since you’ll be fighting enemies for the most part, you’ll have to remember that system, even if it could be easy to forget it along the way. Water beats fire, fire beats wind, wind beats earth, earth beats water. It’s pretty much like rock-paper-scissors, but with four elements to deal with. It may seem cool for your team of heroes to gang up on one weak, helpless enemy. That’s all well and good if that’s the last enemy remaining, and you should always prioritize taking down the weaker ones first, but if you’ve got multiple enemies and only one of them is especially weak, don’t gang up. In that case, go for the stronger enemies and go back to the weaker one later on. The blue markers underneath an enemy’s health bar represents a shield. That means they’ll be especially protected, so in that case, you’ll want to focus on attacking the weaker enemies as we said earlier. You can go back to the enemies with shields later on, so don’t worry about them just yet. Guardians are your support characters, and while they may often seem insignificant, they could give you some invaluable help through that seemingly basic support. 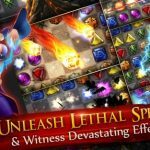 For example, you could get some simple defensive boosts, or you could become invulnerable to poison in other situations. As Tales of Link doesn’t really go into the details when talking about some of the game’s mechanics, we’d understand it if you forgot your Guardians from time to time, but now we’re telling you not to. You should make sure to use your special moves when you could. The usual tendency is to combine as many of one color as possible, but special moves can be potential game changers. 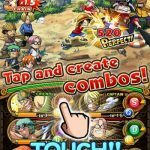 They could give some helpful boosts to your attack, to your defense, and even your health as well. There are different types of premium currency in the game, and you can use those currencies to make your heroes better. For starters, blue orbs can be used to level up your heroes, as they represent experience. Work on improving your favorites or your most powerful characters, but try to make your lineup as balanced as possible, as these blue orbs can be quite common. Next up, you’ve got multicolored orbs, which you can use to summon new characters; these are much harder to come about, but you could get some rare characters through these orbs. And while coins aren’t as premium as your orbs, we suggest using them to fuse your gear; make sure you’ve got enough surplus items to fully take advantage of this functionality. If you’re looking for some last-second assistance before heading into battle, you’ll want to hit the Gear-Up button. You’ll then be shown several options, which will set up your equipment in such a way that you’re all ready for battle, with everyone on your party making the most out of their gear. Regardless how you want things to go, use the Gear Up feature to adjust everything for you in just a matter of seconds.